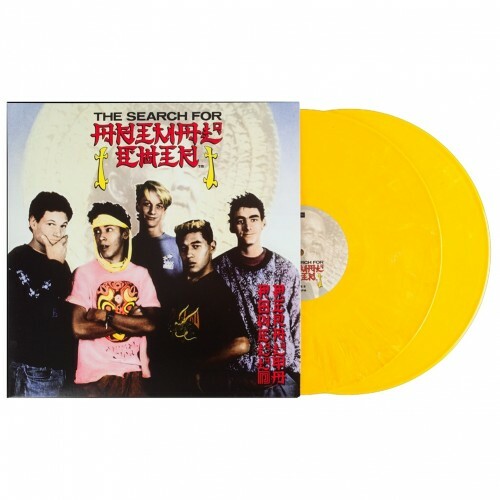 Original soundtrack of the classic The Search For Animal Chin skateboard movie by Powell Peralta on a limited, yellow vinyl LP. Released April 21, 2018 in record stores for Record Store Day, this limited, special collectible comes on 2 x Golden Yellow Marble LP vinyl, with a gatefold sleeve. The inside of the sleeve features rarely seen photos from the team during that era. Included is an exclusive fold out poster of Animal Chin, a download of the entire soundtrack, and the movie as well. So if you never owned the movie, here is your chance to get this collectible soundtrack, plus the movie all in one.